Hi, my name is Jane. 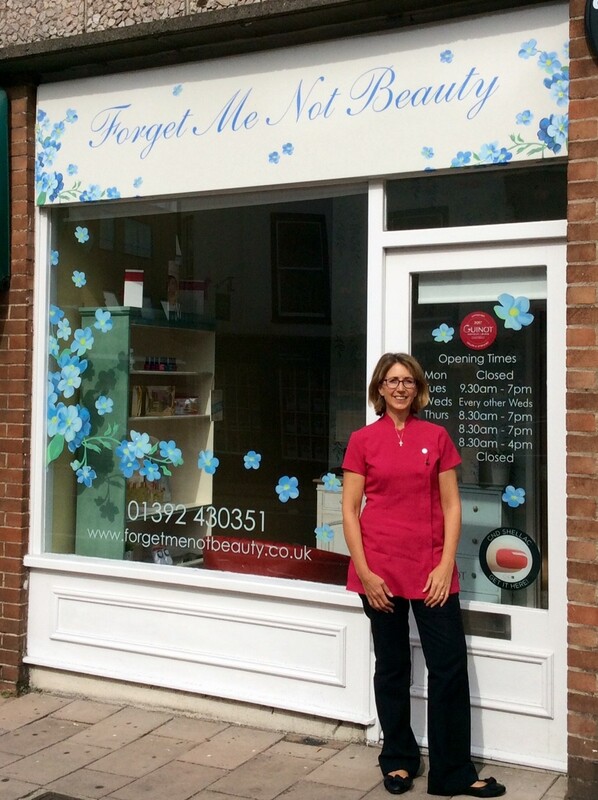 I am very excited about becoming the new owner of Forget Me Not Beauty and would like to take this opportunity to tell you a little about my background in beauty therapy. I have been in the beauty industry for over 20 years and have worked in many establishments including the St George’s Hill prestigious private lawn tennis club in Surrey, St Pierre Park 4* Hotel/Spa in Guernsey and David Lloyd Health Club in Exeter. I trained in London at Steiner Beauty School gaining my CIBTAC qualification in beauty therapy in 1996. I am married and have 2 beautiful girls aged 16 and 11 and a springer spaniel called Jess! We have lived in Devon just over 4 years and have recently purchased our forever home, a thatched cottage in a village outside of Exeter.